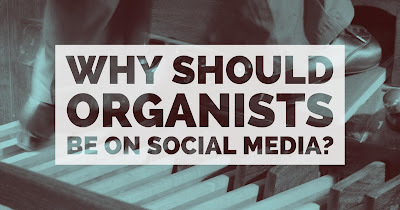 Why should organists be on social media? I realized after I published Social Media for Organists: Five Tips That Can Make You Awesome On The Web that I really only addressed some of the "how" without really getting at the "why". When talking to a group of organists who had registered for an American Guild of Organists (AGO) regional convention, I borrowed some language from the mission of the AGO itself to explain why we should engage with social media: to share knowledge and inspire passion. One of the ways in which I think organists owe it to themselves to live out the mission of this organization is to not keep our knowledge a secret. We all have unique interests and experiences, and one of the joys of getting together at conventions like this is sharing our stories with each other. But while we might be able to attend a conference only a few days a year, the web affords us an opportunity to have these conversations year round. Furthermore, we are all passionate about the organ. It does our organization and our profession no good to keep this passion under a bushel. We should unashamedly demonstrate our passion by letting our social media mirror the things we are excited about. People who would never otherwise think about the organ are Googling words like Bach, organ, Toccata, D minor, and BWV 565. Some of them might even consider going to an organ recital for the first time. And while interest in the instrument is always at a peak at this time of year, there is a certain level of curiosity about the organ year-round. Organists would do well to help people find us and the organ online year-round because someone is always looking. If your early fascination with the organ was anything like mine, you were just as fascinated with the instrument itself as with the music written for it (if not more so!). So one of the things I think is of great value to share through social media is our instruments themselves. Photos of the console, the pipe chambers, the blowers. Videos of the stop action, the swell shades. Recordings of the individual stops themselves (in fact, one of my so far unrealized projects is an "interactive stop list" where you can click each stop name to hear a short sample of that rank of pipes). There are so many things that are worth getting out, and so many people live more and more of their lives online. 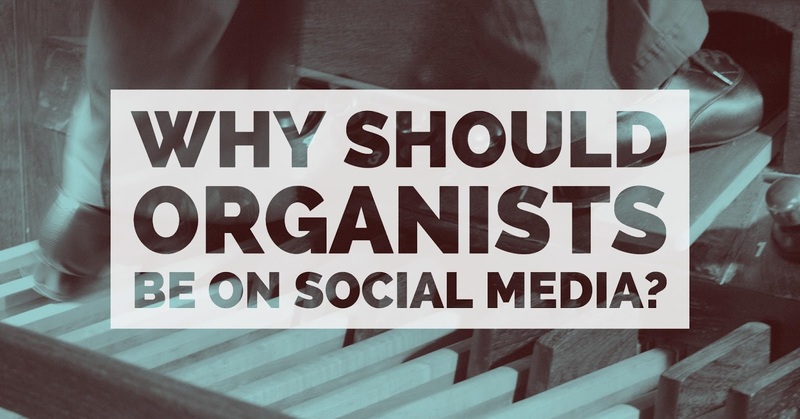 If you're an organist who is not already on the web and social media, why aren't you? If you are already on social media, do you think you share enough about the organ?